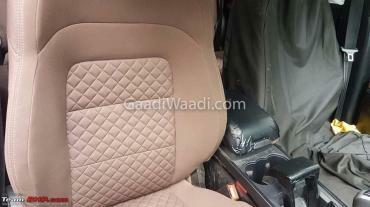 More spy images of the Tata Harrier's interior have surfaced online. 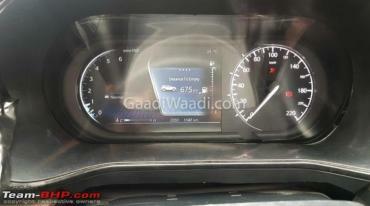 The new images give us a detailed look at the SUV's dashboard layout, infotainment system and instrument cluster. The Harrier is expected to get dual-tone interiors with brown door panel inserts and matching seats with a quilted pattern. The dashboard has a glossy centre console with silver trim and a floating touchscreen infotainment system. The rotary drive mode selector is placed in front of the gear lever, which also has silver trim on the knob. A pull type handbrake lever can be seen between the cup holders and the gear lever. The car also has a front centre armrest. 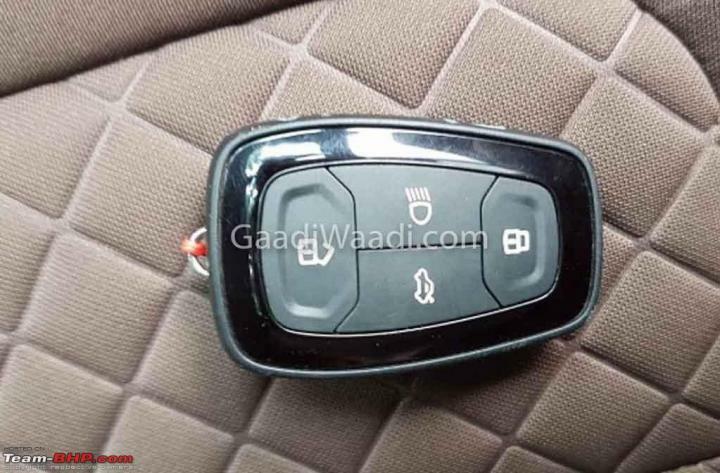 In addition to the usual buttons, the key fob has a boot release switch as well. On the driver's side, the Harrier get a 3-spoke multi-function steering wheel. 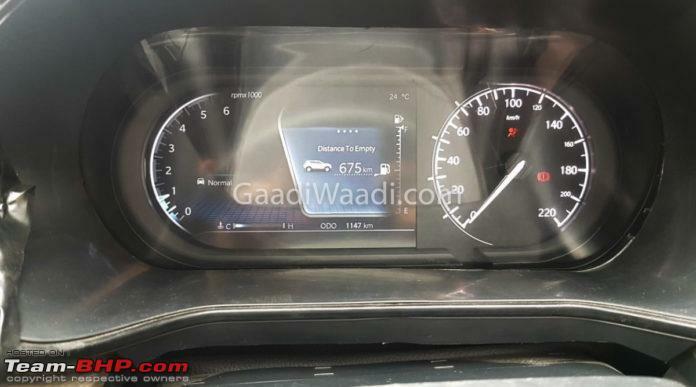 The instrument cluster has an analogue speedometer and digital colour screen on the left hand side, which displays the tachometer and MID. The Harrier also gets an engine start/stop button. The Tata Harrier is based on the Optimal Modular Efficient Global Advanced (OMEGA) platform derived from Land Rover's D8 architecture. 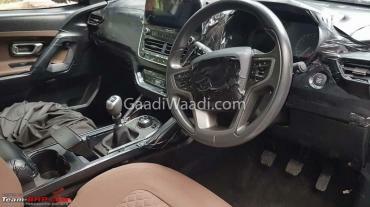 It is expected to be powered by FCA's 2.0-litre, 4-cylinder diesel engine with 140 BHP and is likely to be paired with a 6-speed manual or a Hyundai-sourced 6-speed automatic transmission.